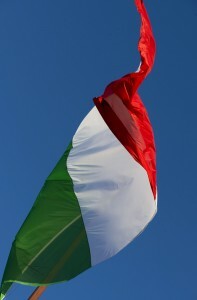 Voting in Italy’s general election, which began on Sunday, will conclude on Monday. Suggestions that former Prime Minister Silvio Berlusconi may be staging a last-minute surge have rattled financial markets recently, and Monday may provide the first indicators of the outcome of the highly-anticipated poll. In Seoul, South Korea’s first female president, Park Geun-hye, will be inaugurated following her victory over Moon Jae-in in last December’s election. Ms Park takes office amid heightened regional tensions, in particular given Pyongyang’s recent decision to test a third nuclear device, provoking widespread international condemnation. Ms Park has vowed to take a more conciliatory approach toward her country’s neighbour to the north than that of her predecessor, Lee Myung-bak. In New Orleans, the civil trial over the 2010 Deepwater Horizon disaster will open on Monday, barring a last-minute settlement. 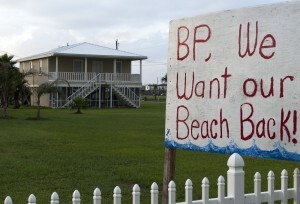 In the dock are BP and its contractors Transoceon and Halliburton, who are accused of gross negligence over the incident, which resulted in 11 deaths and billions of dollars in clean-up costs and compensation payments. US Secretary of State John Kerry, meanwhile, will kick off his first international travel since taking up the post with a stop in London on Monday, where he will meet with his British counterpart William Hague. Kerry’s trip will see him visit a number of European and Middle Eastern capitals, though he will not travel to Israel this time around. Finally, Russian Foreign Minister Sergey Lavrov will host Syria’s Foreign Minister Walid Muallem in Moscow for talks on Monday. Russia ‘s continued support for the Assad regime has frustrated many, particularly the United States. 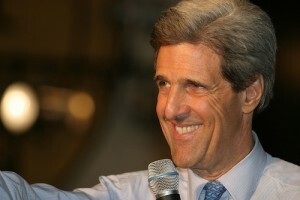 John Kerry will be in Berlin on Tuesday, when he will meet with Sergey Lavrov (as well as German counterparts). The highly-anticipated meeting between the two nations’ top diplomats will almost certainly be focused on the issue of Syria. Kerry has said he hopes to ‘change [Assad’s] calculation’, which observers have suggested is an allusion to the Syrian President’s confidence in Russian support, so this will be a critical meeting. Meanwhile, international talks on Iran’s nuclear programme will take place in Almaty, Kazakhstan. Political directors from France, Britain, Germany, the US, the EU, Russia and China will meet with representatives for the first time since last June. Indications about the prospects for progress during the talks are positive. Finally, in New York City, a court will hear an appeal from Argentina’s government after a court there ruled in favour of billionaire Paul Singer’s hedge fund NML Capital, and others who are suing Argentina for $1.3bn in sovereign bonds owed to them since the country defaulted on its debt in 2001. 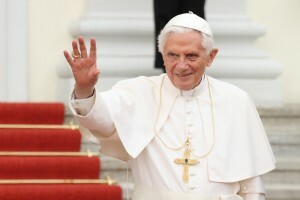 On Wednesday, Pope Benedict XVI will hold his final general audience before stepping down on Thursday. Traditionally held indoors, the event has been moved to St Peter’s Square in order to accommodate the vast numbers expected to attend. 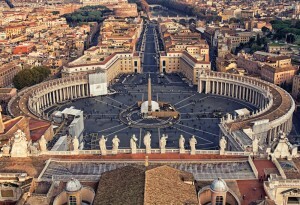 Pope Benedict will take a final spin in the popemobile around the square following his address. In the US, oral arguments are scheduled in the Supreme Court a case challenging a key element of the Voting Rights Act. Specifically, justices will hear a challenge to Section 5 of the act which which requires state and local governments in certain, mainly southern, US states to obtain federal permission before making changes that affect voting. Critics of the provision say it is outdated and unfairly singles out certain states, while supporters say it provides important protections. Finally, delegations from rival Palestinian factions Hamas and Fatah are expected in Cairo on Wednesday for further reconciliation talks. An international meeting on Syria will take place in Rome on Thursday, attended by the US Secretary of State John Kerry as well as representatives of the Syrian National Coalition, including its head Mouaz al Khatib. In Moscow, President Vladimir Putin will host his French counterpart Francois Hollande for talks on a range of bilateral and multilateral international issues, likely to include Syria. In India, Finance Minister P Chidambaram will present his budget for 2013/14 before the country’s parliament. Finally, at precisely 7pm GMT, Pope Benedict XVI will step down as head of the Catholic Church. Assuming a last-minute deal is not reached during the week, drastic across-the-board cuts to federal spending – known as a sequester – are scheduled to take effect Friday. Last week, the US Department of Defense, which would be particularly hard-hit by the measure, announced plans to furlough 800,000 members of its civilian staff, should sequestration occur. Barack Obama has repeatedly warned that the cuts threaten the US economic recovery. 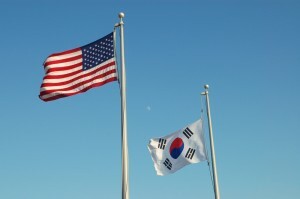 In South Korea, the annual military exercises between Seoul and Washington, known as Foal Eagle, are scheduled to kick off, lasting until the end of April. Such exercises are frequently seen as a provocation to North Korea. Lastly, former Italian Prime Minister is expected to appear in person on Friday in Milan’s court of appeal, where he is challenging his conviction last October on tax evasion charges. A verdict in the appeal is tentatively expected on 23 March. On Saturday, the succinctly-titled Conference of the Parties to the Convention on International Trade in Endangered Species of Wild Fauna and Flora (aka CITES) annual meeting kicks-off in Bangkok, Thailand. 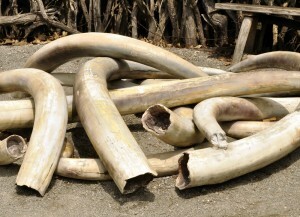 The meeting, which lasts until 14 March, is expected to see a particular focus on closing a loophole which allows for domestic trading of ivory, in the wake of increased poaching of rhinoceros and elephants. In Switzerland, on Sunday, a referendum is scheduled that includes a vote on whether to strengthen shareholders’ influence on the remuneration of directors and management of listed companies in order to prevent excessive pay. The outcome is likely to have international implications. Finally, the annual policy conference of the powerful American Israeli Public Affairs Committtee (AIPAC) opens on Sunday. The three-day conference traditionally features addresses from Israeli Prime Minister Benjamin Netanyahu and President Barack Obama, though these have yet to be confirmed this year. Obama, of course, is scheduled to visit Israel from 20 March.